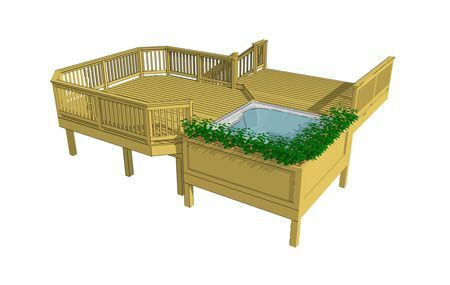 This 2 level deck features a recessed hot tub surrounded by decorative built in planter boxes that offer ambiance and privacy. 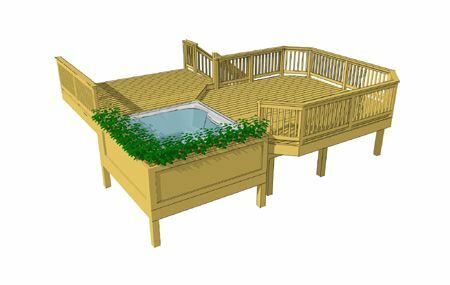 The 10' x 13' top deck provides access to all of the decks critical functions including the hot tub, stairs, and 14' x 14' bottom deck which serves as the primary entertaining space. 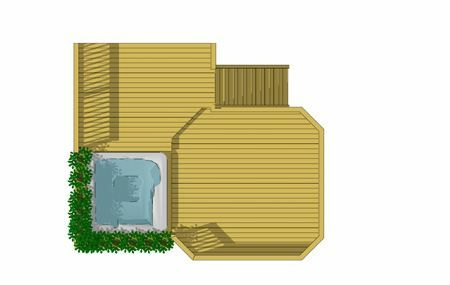 The stairs are concealed between the house and the bottom deck.